Those three designs cover about 99 percent of our skid steer market. The Hulk is for someone who operates on a lot of blacktop – paving companies, some of the farms where the larger farm lots are paved. They’ll outlast the standard R4 design at least 2-to-1 in that application. Q. What do you think the future holds in skid steer tire designs? “I think those three designs are going to continue on. Radial is starting to come on a little bit, but it hasn’t taken a huge amount of the market because of pricing – it’s about double. Q. What’s your opinion on the Galaxy line-up of skid steer tires? “That’s been the best skid steer line we’ve ever run. I’d put it up against any skid steer tire anywhere. Alliance Tire Group is constantly developing new designs to meet the specific needs of skid steer operators. For example, operator comfort and machine stability are becoming more widely recognized as safety and productivity factors. 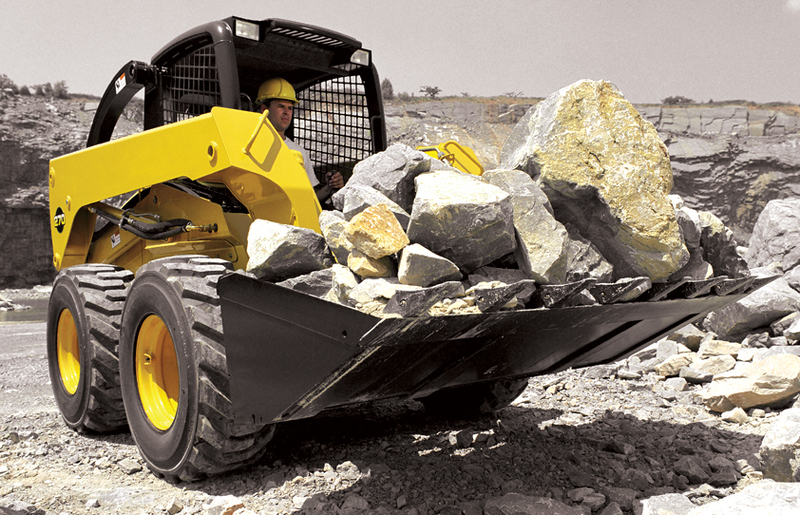 The stability and comfort of the machine have a huge impact on how quickly an operator gets fatigued, and much of that is connected directly to the tires—how well the skid steer performs, and how much jolting and jostling the operator experiences. We developed the Beefy Baby III tread to improve stability and performance, which is good for the operator and for the bottom line. Our engineers beefed up the familiar Beefy Baby bar tread by deepening the tread and fine-tuning the lug design to deliver even greater stability, longer life and better traction. With the Muddy Buddy, Alliance Tire engineers reconfigured the angles of the lugs and increased tread depth by more than 55 percent to deliver better traction in mud and manure, where a lot of skid steers spend much of their time. It’s a very sophisticated design to perform in a very demanding environment, and customers have been really excited about it. “It’s all about the details in developing application-specific skid steer tires,” Vandegrift concluded.